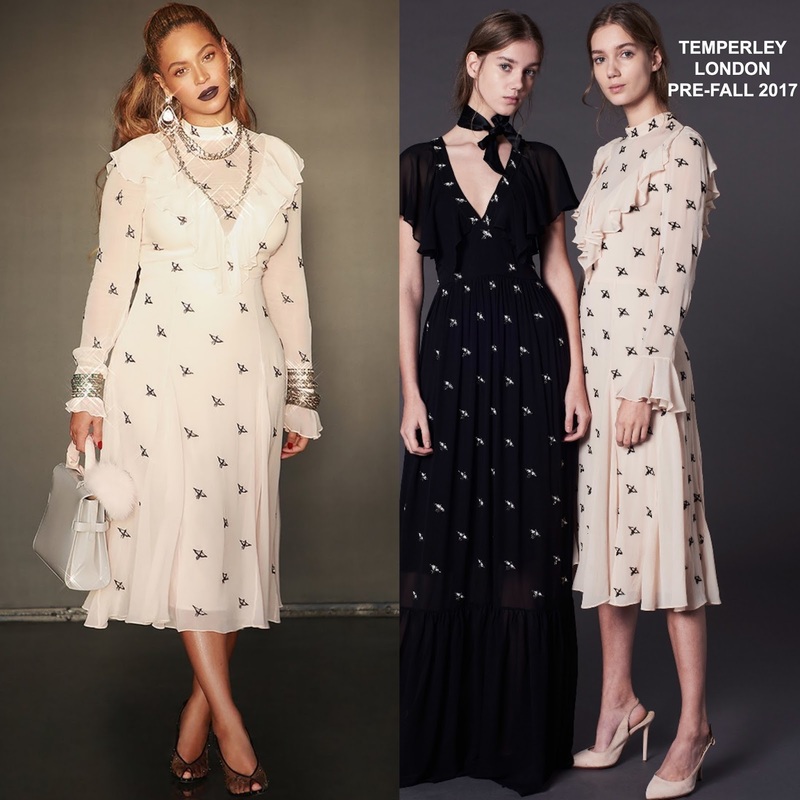 Following her attendance at the Wearable Art gala, Beyonce showed off a chic look via her instagram/website today(March 22nd). She posed for the gram wearing the TEMPERLEY LONDON PRE-FALL 2017 'Starling' sheer almond long sleeve sheath dress which was partially lined for coverage and featured contrasting black bird embroidery, a mock neckline and a ruffle v-neckline & cuff. Her jewelry which is by LORRAINE SCHWARTZ of course added some sparkle to her look. However I wish she left the bracelets out as it takes away from the charming ruffle cuffs. Beauty wise, she vamped up her lip with a matte purple lip & a half-up half-down hairstyle which topped off her look along with a DELVAUX bag and TOM FORD mesh slingbacks. Are you feeling Bey's instagram style? 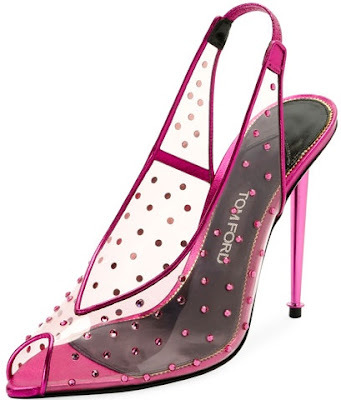 You can get Bey's Tom Ford slingbacks in fuchsia at NEIMAN MARCUS.